These are quality safety boots for those with a budget. 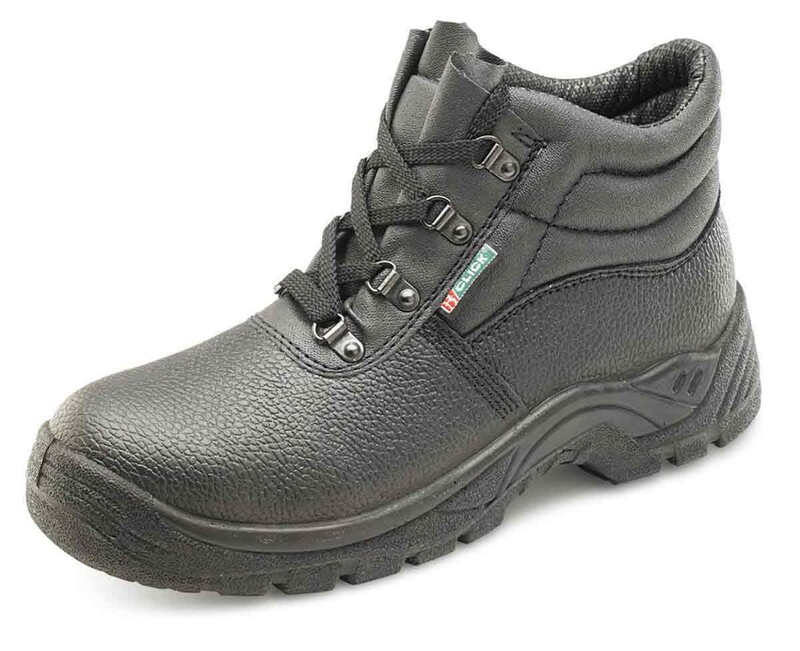 Click Dual Density Chukka Safety Boot is a great value 4 'D' Ring Boot. Dual density PU anti-static sole. 200 Joule steel toe cap. Shock absorber heel. Anti-slip, anti-static oil, acid and alkali resistant sole. Heat resistant to 200C. Leather upper. The Click Dual Density Chukka Boot Conforms to EN345 S1.